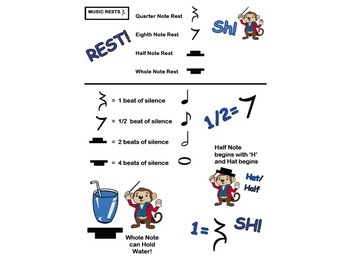 MUSIC RESTS- INFO PAGE! HELP TO EXPLAIN EACH TYPE OF MUSIC REST! SH! QUARTER REST, EIGHTH REST, HALF REST, & WHOLE REST.